INDIANAPOLIS, Ind. 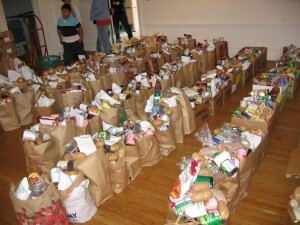 –- In the last state budget, Feeding Indiana’s Hungry, Inc. was appropriated $300,000 per year for the two year budget. These funds will provide 1.2 million meals throughout the year for Hoosiers, with meat, produce and other food products purchased directly from Indiana-based commodity producers. “We are thankful for the faith the Indiana General Assembly placed in our food banks to directly provide food relief to Hoosiers in need, and we will honor our commitment to purchase Indiana-based product to ensure it’s a win-win for all Hoosiers,” said John Etling, President of the Board of Feeding Indiana’s Hungry, Inc. “Indiana is a commodity rich state, which will allow Feeding Indiana’s Hungry to purchase meat, produce, and other food products for our nine member food banks to be distributed to all 92 counties to Hoosiers in need of food assistance,” said Etling. Nearly 600,000 Hoosiers experience hunger each year, with 190,000 of those being children. Lt. Governor Becky Skillman, who helped form FIsH in 2005, emphasized the importance of food banks in the current economic situation. Feeding Indiana’s Hungry, Inc. is the statewide association of Feeding America affiliated food banks (formerly America’s Second Harvest). Our nine member food banks serve 1,700 agencies in all 92 counties, providing emergency food assistance to Hoosiers in need.